Yesterday, Etsy officially rolled out its new layout and algorithm changes. At least, yesterday Etsy tried to roll out its new layout. There have been more than a few hiccups which have resulted in some sellers stuck in the old view whereas others are pushing forward with the new layout without issue. Last night Etsy acknowledged there were some concerns with the launch and it may take up to one week for everyone to see the changes. Regardless of which side of the coin you fall on, I want to check in with you to see how you have been doing. Did you survive? More importantly, are you thriving? No one likes changes, but there are a few points to this new layout that might be a nice addition if you keep an open mind. 1. 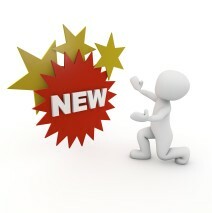 Renewing sold listings will no longer change their positioning within your shop. 2. Your products will be displayed three across (instead of the previous four across). 3. Etsy has partnered with Canva to launch a cover photograph for your shop. The first point simply means that previously, when you renewed a sold listing it would be bumped to the top of your shop display. Not anymore. You can use the shop drag and drop function to change your display icons without worry selling products will upset the look of your shop. As for the product icon display being truncated down to three instead of four photographs, there doesn’t seem to be any obvious benefit or detriment, but that has yet to be seen. The third point is a bit more important, in my opinion. Did you update your cover photograph (photo)? This graphic is taking the place of your previous Shop Banner and is key to solidifying your brand. Etsy sellers have long complained that it is hard to establish a brand identity on Etsy and this larger, more prominent graphic space seems to be the answer. I personally went with a cover photo sizing and paid a graphic designer for her work. I couldn’t be more pleased. I am taking the position that we must adapt to change with grace and intelligence. The more we learn about these changes and the more we embrace them, the more we can thrive as business owners. The biggest thing I want you to remember is that if you can embrace this change, improve your shop so that it is visually optimized, and go with the flow, you will be ahead of many of your grumbling competitors. This is a chance for you to rise above the crowd and really let your brand shine. What do you like about the new changes? What don’t you like? On Friday I’ll be discussing my opinion of the new Pattern website builder. My shop hasn’t changed over yet. I’m impatiently patiently waiting! I hated to have to pay a graphic designer since It wasn’t anything I asked for so I didn’t. Catch 22. Don’t have the money to do what’s necessary to make money! You might not need to pay a graphic designer. Have you tried out the Canva.com template yet? It is free unless you purchase premium photo elements and already sized to the cover photo standard. I am adapting to the changes and trying to make the most of it. I like the new larger banner along with the streamlined look of the new shop layout. As with anything new, it takes a while to get through the learning curve and adjust. I agree with you. I like the larger banner. I am pleased with the changes. Etsy has put forth the effort to prioritize the opinions of the sellers and the buyers. Increasing the number of sections is a plus for me, along with the new banner options. I am a very big fan of the increased sections! We’ve been asking for that for quite some time now.